How do carpets affect your health? Even if they look clean, carpets carry micro germs and bacteria that can be passed through from one being to another through the air. As for stains, they can be seen on the surface are only the beginning of the stain problem. The more serious issue has infiltrated to an area which is over three times deeper than what is visible to the naked eye. For example, odors caused by pets often stay behind even after the stain is gone. With Big Red’s professional carpet cleaning method, you can be assured that we will completely eradicate all lingering foul odors and stains, thus sanitizing your carpet and upholstery. If you’re wondering how to keep your pets from harming your beloved carpets and furnishings and keeping your home pet-friendly, read our blog post for tips. Don’t let your children crawl and play on non-sanitized carpets. Don’t take any chances, especially with infants and toddlers who are more sensitive to allergens. Keep your family safe by engaging us for a thorough cleaning. 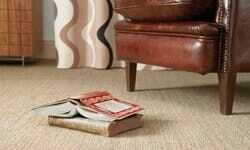 We will sanitize all affected areas, eliminating bacteria and infested debris from your carpets. Time to Clean Your Carpets? Time to Call Big Red! Keep a healthy indoor environment with Big Red’s services. You can’t put a high enough price on good health. 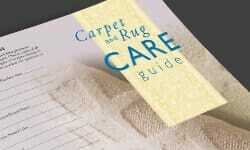 So, do your best to keep your carpets healthy for you and your loved ones by regular cleaning and maintenance. When in doubt, contact certified Singapore carpet cleaning professionals accredited by the Institute of Inspection Cleaning and Restoration Certification, Restoration Industry Association and Carpet and Rug Institute. 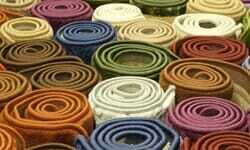 Big Red Carpet Cleaners uses the most effective carpet and upholstery cleaning method. Using our unique truck mounted cleaning system, we can completely remove all germs, bacteria, grime and stains, so you’ll be left with sanitized carpets which will look, smell and feel virtually new. Just pick up that phone!